Added experimental feature - mods enabler. It will check for mods in game directory and enable it all at each start. Mods will be added to Fallout76Custom.ini in correct category (sResourceArchive2List/sResourceStartUpArchiveList). As well it checks for mod conflicts and will show message if it exists. At first start you will choose to enable / disable this feature. If you want change this settings later - simply remove mods.txt near exe. 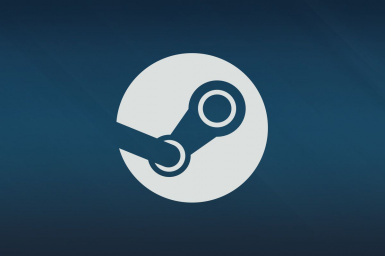 You can use this feature without steam. Just simple launch game from this executable. Doesn't seem to work any longer for me, I boot it up and the Overlay shows up for the Bethesda Launcher but not the actual game, do you know why it has done this? Problem has only now shown up today but not any of the other number of times I play. hey, I like the new feature! Just a suggestion: can you make it so we can override a warning? some mods still work even if they conflict and I would like to be able to keep the feature on instead of turning it off. I did add my Fallout76.exe as non steam game, done! So i wonder why someone should download your Mod here? Strange. You need manually enter login every time, when update comes - manually update game. This mod solve problems above. I use GloSC to run the launcher (rather than this mod) and map my wireless ps4 controller using full steam controller configuration via direct play. I don't actually want the steam overlay, so I'm not sure what is gained by using it. Since I run the launcher, I also don't have to be concerned with manual login. And, by the way, the GloSC solution applies to many other games than Fallout 76. I also use it for Blizzard Launcher and Destiny 2. You can just add this to your .ini to avoid having to type your login instead of using a custom executable. just a clarification, you add it to Fallout76Custom.ini not the main or prefs inis. what do you mean by app, i rather use that, than some exe file. I'm not sure why but my game is crashing while using this. I love it and I want it to work as I prefer to use SC in game. I am getting this error: Fallout 76 failed to launch. Please validate the game files and try again. Might be because of my ini changes? I don't want to validate and loose my ini tweaks. Is this message from Fallout 76.exe? Can you send screenshot? You don't need this mod, just add your Standard Fallout76.exe as non steam game and launch it, thats all. ANd it's more safe, so nobody grab your user informations or login. windows defender keeps deleting the rar saying its a virus. A virustotal scan doesnt mean anything dude. Virustotal only scans for known viruses. If you made a new one, they wouldn't have a hash to compare to. Hence it would turn up clean. How do we bypass this? Chrome just kills it, I been using the first version, it downloaded with no issue. I just been manually closing the launcher. The new version just won't download. I believe it's safe, but how do I download it if it just stops the download? Seeing the same here. Both Firefox and Chrome remove the file, saying it's unsafe. That worked, thanks! Great mod btw! You can get around it by adding .exe as an exclusion in the Windows Defender Security Center. You shouldn't need this? I just added FO76 exe to Steam and it works fine, doesn't even launch Bethesda Launcher, it just plays. But you need to sign in every time. This mod to bypass it. There's allegedly an INI setting that makes the game log you in for you so you don't need to do it manually on every start. Do you happen to know what the setting is? Signing in drives me nuts already. I hate that this game isn't on Steam. Thanks, this worked for me. I had to use Firefox to download it though because IE and Chrome failed due to virus warnings.